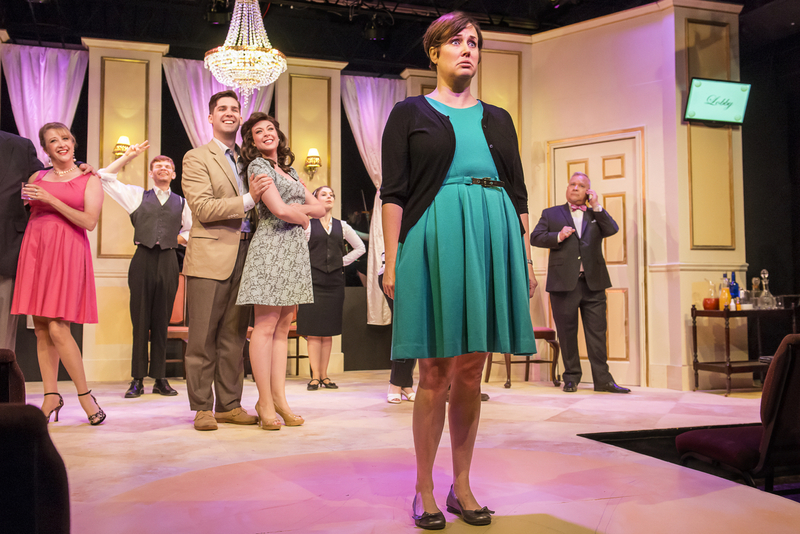 It Shoulda Been You has all the makings of another same old musical comedy about a wedding gone wrong. There are the usual stereotypes – the overbearing Jewish mother, skittish bride, flamboyant wedding planner, and ex-boyfriend who shows up to stop the ceremony. But the campy comedy has a nifty new plot twist (one that those seated around me never guessed was coming, judging from the gasps and squeals of excitement) at the end of Act 1 that freshens it up considerably. Richmond Triangle Players’ current production, which runs through July 1, may not be great highbrow theater, but it’s loads of fun. Jenny Steinberg (Georgia Rogers Farmer) is tasked with ensuring that her sister Rebecca’s (Grey Garrett) wedding goes off without a hitch. Their overbearing mother, Judy (Jacqueline O’Connor, who seemed to be having a blast with the role), is a whirlwind, interfering and constantly updating plans, which are immediately attended to by able wedding planner Albert (Kirk Morton) and two hilarious hotel staffers (John Mincks and Louise Ricks). And, of course, there are problems – lots of them – from the panini station to a smudge on the wedding dress to Rebecca’s cold feet about the ceremony. 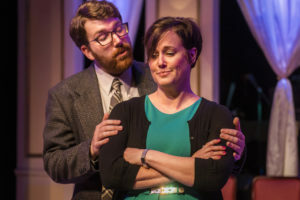 There’s also the problem of groom Brian Howard’s (Luke Newsome) Catholic family, from his boozy mother (a stand-out performance from Susan Sanford) and father (Mark Persinger) who hands him a prenup on wedding day. What else could go wrong? Oh, there’s certainly more. The best man (played at the performance by understudy Derrick Jaques) and maid of honor (Jessi Johnson) have a big plot secret. The action takes place at hotel venue for the impending Steinberg/Howard nuptials, with a simple but clever set by Frank Foster serving as Jenny’s room, the women’s restroom, lobby, reception hall and other locales. Farmer does a nice job of playing “straight man” to the other zany characters. “I Never Wanted This,” sings Jenny, reassuring herself as she wistfully tries on her sister’s wedding veil. But she’s soon diverted by all the chaos that ensues, especially when Rebecca’s ex, Marty (Ian Page), shows up at the hotel. Instead of finding Rebecca, he runs into her parents, who aren’t angry at him for crashing. Instead they sing “It Shoulda Been You” and urge him to try to get Rebecca back. Director Jon Kretzu does a terrific job of keeping the action moving. That’s not hard with the witty one-liners slinging from all sides from book and lyricist Brian Hargrove. All the actors do great work with Barbara Anselmi’s music, backed up by a stellar five-piece band directed by Kim Fox. O’Connor and Sanford are scene stealers, especially when on stage together. And Mincks and Hicks deserve recognition for their hilarity in double roles. The show, while not squeaky clean, should be fine for teens and mature pre-teens. After all, it’s all about true love conquering all. 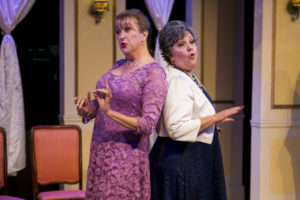 Richmond Triangle Players’ production of It Shoulda Been You runs at the Robert B. Moss Theatre (formerly Richmond Triangle Players on Altamont Avenue) through July 1. For showtimes and tickets, go here.